Tales of Vesperia Definitive Edition is the well-wrapped packaging of a long-winded journey. Having initially released in 2008 only on the Xbox 360 platform, it was a next-gen game on a next-gen platform compared to 2006’s Tales of the Abyss release on the PlayStation 2. Tales of Vesperia then re-released in Japan in 2009 with some improvements and added an additional character found in Patty Fleur, the pirate treasure seeking girl. Now in 2019, Tales of Vesperia Definitive Edition is finally released with all the new content and a visual upgrade to 1080P to accompany its release on PlayStation 4, Nintendo Switch, Steam, and Xbox One. The story of Tales of Vesperia follows Yuri Lowell, an ex-Imperial Knight who’s decided his personal brand of justice can’t be accomplished following the laws of the land. While hunting down a thief with his dog friend Repede, Yuri gets entangled with a noblewoman Estelle, who uses the thief chase to escape into the real world and track down a notable knight. Along the way, the cast of characters expands along with the worldview of both Yuri and Estelle, showing just what the world of Terca Lumeris is really like. New to the Definitive Edition, Patty Fleur and Flynn both become permanent cast members, giving more robust cohesion to the party and adding some truly hilarious dialogue. 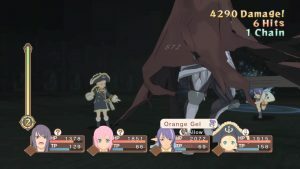 While not adding to the overall story of Tales of Vesperia, making Flynn a permanent cast member improves the story as you play by making his actions feel more tangible to the player. Along with the addition of Patty to the narrative, bonus content has been added. These include additional costumes that reference previous Namco games, additional dungeons, extra boss encounters, and new artes for each character. There are also new side quest scenarios that include references to the Tales of Vesperia: The First Strike anime. Combat and gameplay in Tales of Vesperia is what the series has been known for. Combo juggling, flashy artes special attacks, and Mystic Arte supers are all here and fun to utilize. As each Tales game experiments with combat, the combat of Tales of Vesperia can feel a bit more dated than that of its successors, but that’s the appeal of the series. Tales of Vesperia added a new combat mechanic where you can one hit kill most enemies by exploiting their weaknesses, which can turn longwinded fights into shorter, more strategic bouts. 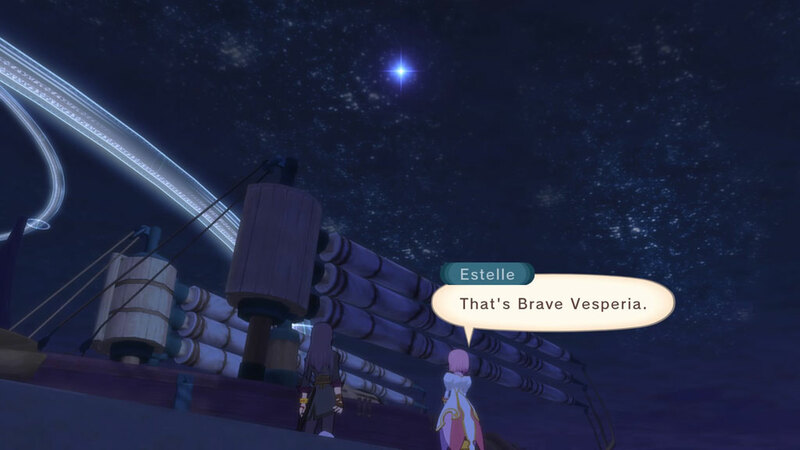 Tales of Vesperia‘s soundtrack still stands the test of time, including the fan favorite opening song, Bonnie Pink’s Ring A Bell. Players can now choose between an English and Japanese dub. The new scenes added to the PS3 version and previously unvoiced scenes are now fully acted in both languages. Not all of the original English voice voice actors were brought back for these new scenes, with the most notable omission being Troy Baker who voiced Yuri. His replacement, Grant George, does a solid job replicating Baker’s performance. Visually, Tales of Vesperia looked great on the Xbox 360, but 10 years later some improvements were added. Upscaling the resolution image from 720P to 1080P is one thing, but the texture improvements to the surrounding world help keep the world grounded. Improvements to the light filters help keep lights bright and influential on the mood of the various dungeons, caves, and towns you roam on your journey. Impressively, on top of all the console versions having a baseline 1080P setting and a target of 60 FPS during combat, the Steam release also exhibits up to 4K rendering options. One minor downturn is that the skits remain at the quality level that they released in. The choppy framerate and limited portraits feel limiting and can be distracting. 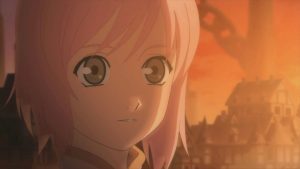 An additional part of the story of Tales of Vesperia Definitive Edition is that as an HD release, there have been zero mechanical or storytelling improvements outside of those found in the PS3 re-release. Improvements found in later titles, like changes to how moves are learned, or making combat difficulty improve rewards are nowhere to be found, for better or worse. Interestingly enough, the social leaderboards from the initial Xbox 360 release are also included, making sure even that feature was preserved. 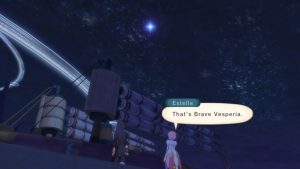 Tales of Vesperia on the PS4, Xbox One, Steam, or Nintendo Switch can be seen as a locked in and un-edited version of the game, preserving if it was in a time capsule.